Whether you participated in a Woman's March this weekend - or next due to weather - or are a supporter who appreciated the events from afar, this is the perfect winter activity to continue to enjoy the experience. This has definitely become the “Year of the Woman” and it began on a cold January Day with the Women’s March in Washington, DC and all over the country. 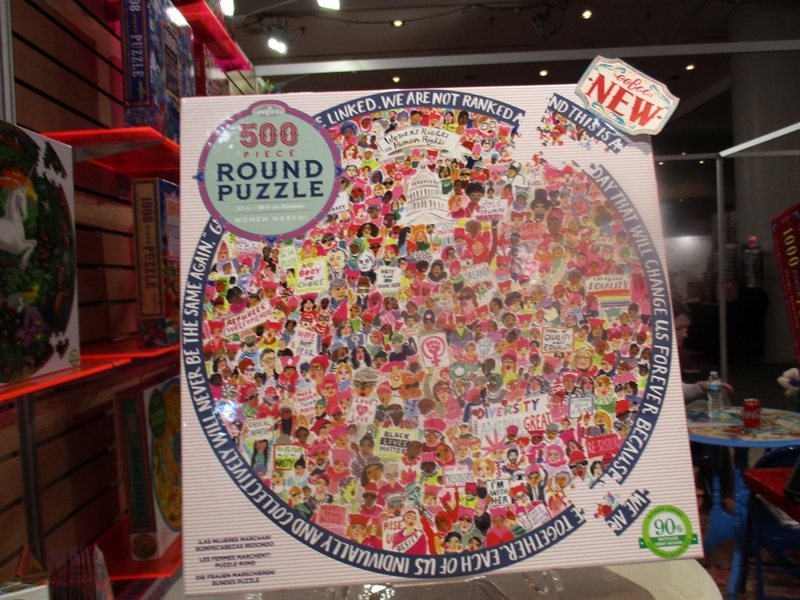 To commemorate the Women’s March in Washington, DC and all over the country in 2018 this eeboo has produced this stunning 500 piece round puzzle. The quote that surrounds “We are linked, we are not ranked, and this is a day that will change us forever because we are together, each of us individually and collectively will never be the same again” was by Gloria Steinem at the March. This puzzle is not only for puzzle lovers but for everyone who appreciates the seismic shift happening in women’s empowerment. Enjoy putting it together and who knows you may decide to just frame and keep it once it is together.